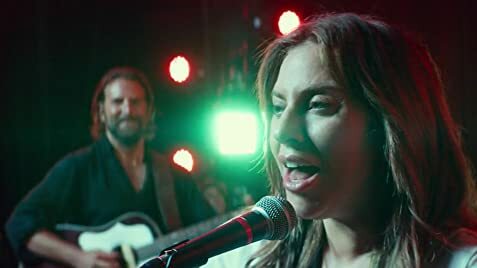 ‘A Star is Born’ depicts the challenges music artists face in the industry and illustrates how authenticity is sacrificed in order to gain more attention. Bradley Cooper’s directorial debut marks the 4th remake of the film and offers stunning performances by Cooper and Lady Gaga, as well as Sam Elliott. Is there a significance to why it was released during this time. 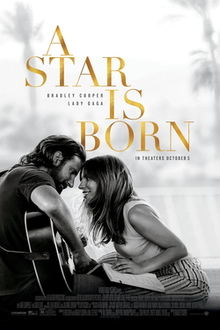 The film is a romantic masterpiece, as it reveals how Jackson (Bradley Cooper), the protagonist, sacrifices his career, because of his love for ‘Ally’ (Lady Gaga) as she rises to the top. Some call it the ‘new Titanic’ for evoking tears and shedding a light on. The uniqueness of the film is that the star was supposedly meant to be Jackson, but this time it is Ally that is the rising star in the film. As prominent females are beginning to take charge of things. However, it reveals a lot of challenges that music artists experience. The film introduces the issue of substance abuse as Jackson the main character suffers from problems related to alcohol and drugs. The film opens and the audience quickly realizes those issues. However, deep inside he is a compassionate human being, and that is shown through his romantic relationship with Ally who he meets at a Drag Bar. They quickly fall in love, and Jackson finds his safe haven through his relationship with Ally. As the film progress, the audience quickly notices that Jackson realizes her potential as he sacrifices his career to benefit her. Bradley Cooper, the director of the film, expresses that it is important that women’s voices are heard, which gives them a platform and voice. However, he touches upon the importance of authenticity and to be true to yourself rather than create another persona. This reveals that when you place a ‘mask’ on yourself, the art is less pure. Cooper reveals this particular aspect of pop culture to teach us that what makes us unique stands out much more than creating something that isn’t pure. Ally’s relationship with Jackson is somewhat therapeutic to Jackson; however, as Jackson wrestles with his demons, he begins to realize that his problems have a significant impact on Ally. Jackson spirals into oblivion, a downward trajectory which consumes the second half of the movie. Jackson’s childhood wasn’t exactly normal, as he grew up in an orphanage and his older half-brother Elliot raised him. He deals with his problems and anxiety with alcohol, drugs, and other substances. I do believe that he was able to feel at peace, and recover from the mess when he saw Ally rise as a star. It reveals the ability of men to sacrifice because of love. This romantic flick is definitely something to catch in theaters. It deals with different elements of what musicians go through, and the performances were spectacular. In the end, Ally truly becomes a star because of the help of her lover Jackson, as Jackson sacrifices his career in order for someone else to rise. It depicts the rise for women as they are on the rise to become leaders. The ability of Cooper to make the film play a mixture of emotions on the audience through the characters in the film is absolutely magnificent. As of January 25th, 2019, the film has received four nominations at the 76th Golden Globes for Best Drama, Actor, Actress and Director. Additionally, it has just received seven nominations at the 90th Academy Awards hosted in February. It has the potential to steal the show as we wait to see what happens.